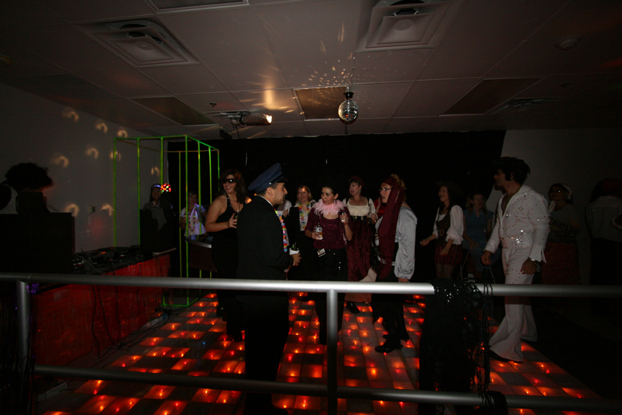 This year for Halloween, my group took over a storage room in the office and turned it into a full blow DISCO--complete with lighted dance floor, blacklit go-go cage, dj booth, disco ball, and full bar serving cocktails! 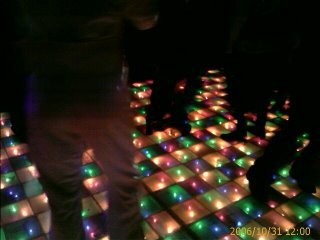 The crowning acheivement of the disco was of course, the dance floor (people kept asking me where we rented it! Hah!). 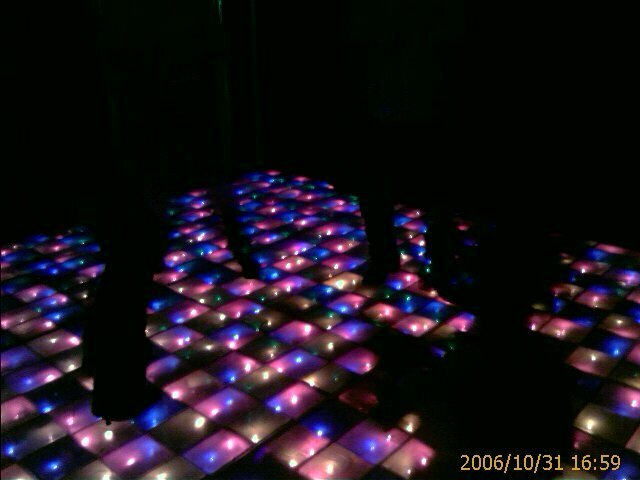 The base of the dance floor was made up of .75"x1.5"x8' wooden boards (aka, the cheapest wood that can be found at Home Depot). 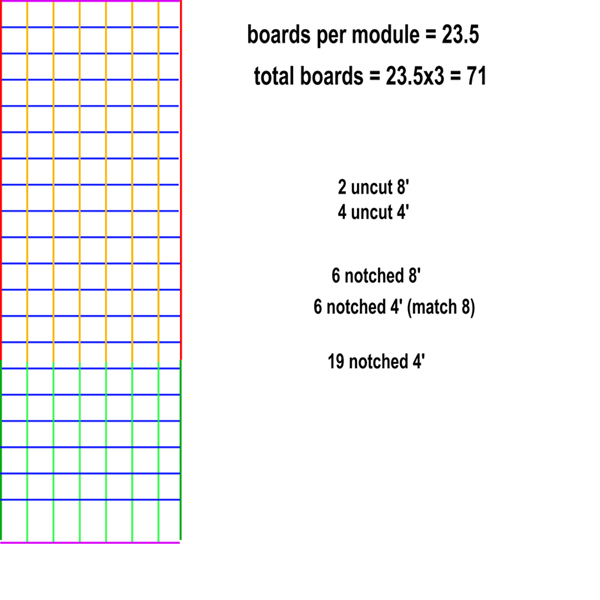 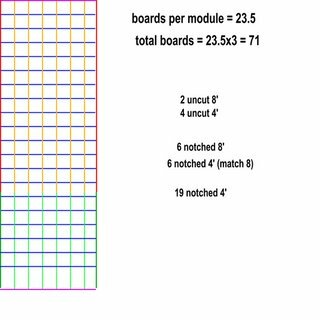 The wood was measured out and notched every 7", then fit together in a grid pattern. 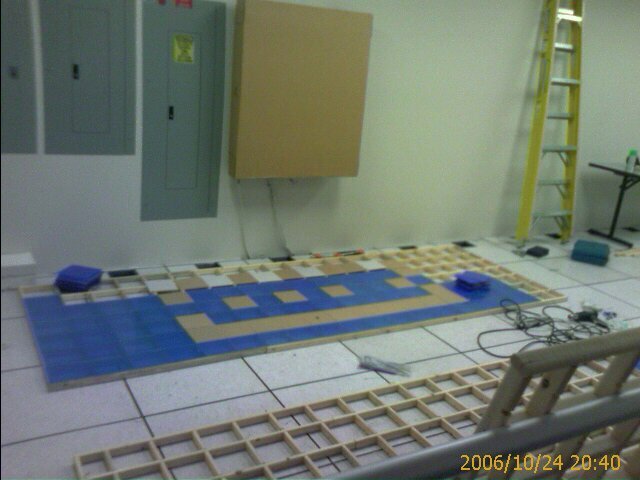 In order to get it in and out of the door, it was built in three 4'x12' modules. More pics of "Studio 5U" in action!